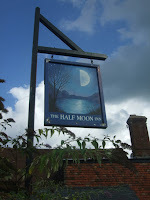 The pub in the picture above is supposedly haunted - and it really does look rather spooky too, doesn't it? 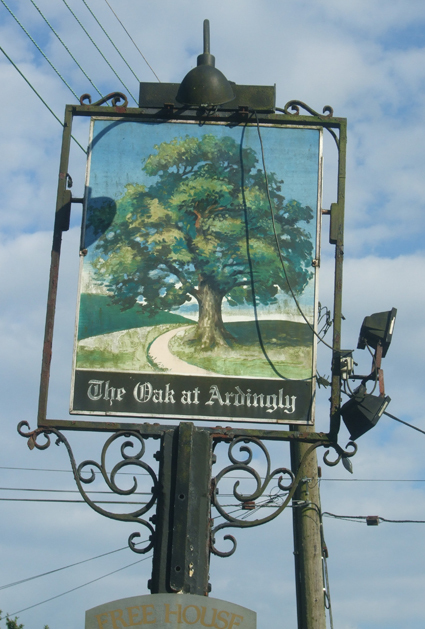 It is the Oak Inn, in Ardingly, and was the final haunted stop on the ghost walk I went on last weekend, from the book Ghost Hunter Walks in Sussex. Most of the walk was around Ardingly Reservoir in West Sussex, which is absolutely beautiful - perfect for visit on a sunny day in summer or autumn. I posted a photo of it on my blog last week. Rather than entirely follow the footpath that hugs the edge of the reservoir, the ghost walk detours off across fields and country lanes to two lovely villages with interesting stories of apparitions. 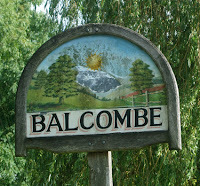 The first is Balcombe, which offers tales of a haunted railway. Three British soldiers on a training exercise during the First World War sadly met their death from an express train while sheltering from a storm in Balcombe's railway tunnel. 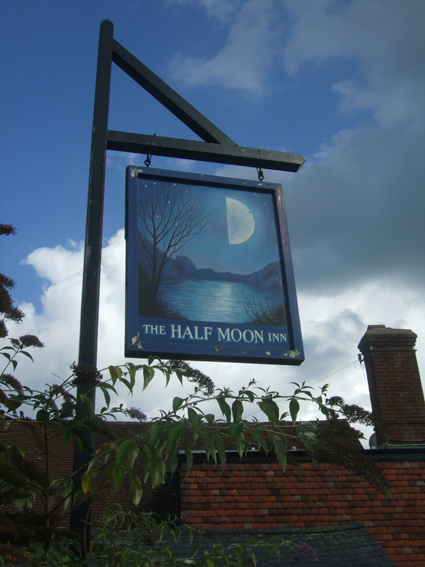 Villagers claimed to have seen the ghosts of the three men several times in the years that followed - although whether such witnesses were under the influence of spirits imbibed at Balcombe's excellent pub, the Half Moon, I don't know. During the second world war, a member of the Home Guard was set to guard the tunnel against attacks by German agents. 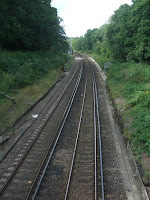 Late one evening, like the earlier infantrymen, the sentry was sheltering in the tunnel from inclement weather when he saw three soldiers walking along the railway from the south. He immediately left the tunnel to approach the three figures. He later said he was suspicious that they might be Germans in disguise, because their British uniforms were clearly out of date. However, when he approached them, they slowly disappeared before his eyes. The author of the book, Rupert Matthews, speculates that perhaps the three WWI ghosts had deliberately drawn their countryman out of the tunnel to save him from the same fate they had suffered. 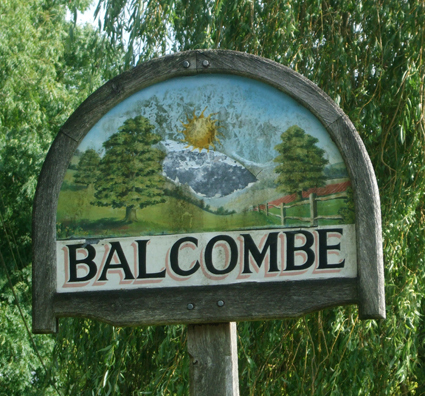 The second haunted location is Mill Lane, which leads out of Balcombe back to Ardingly Reservoir. The stretch of road is dark with overhanging trees and does have a gloomy and sinister atmosphere. Sometimes, people walking - or presumably driving - along it have suddenly been startled to see the corpse of a man hanging from one of the branches. 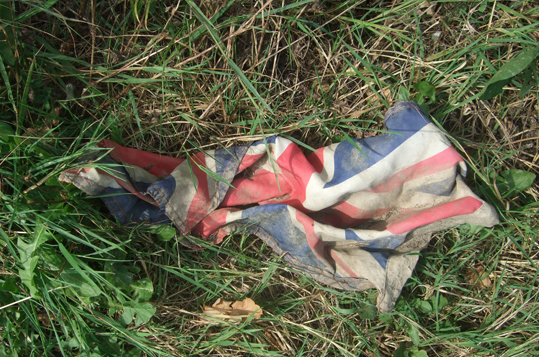 It has to be said that most of the sightings of this apparent suicide happened from Victorian times up to the mid 20th century. Before the era of mobile phones, the witnesses naturally rushed off to fetch the police, but when they returned the body, noose and even the branch were no longer there. 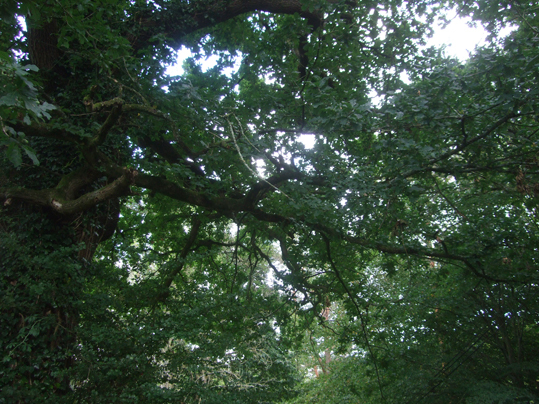 You can see a photo of branches overhanging Mill Lane in the photo at the bottom of this post. After returning to Ardingly Reservoir for a pleasant stroll along the banks beside the sun-dappled water, where kingfishers can sometimes be spotted, the walk again detours along a country lane in search of a ghost. 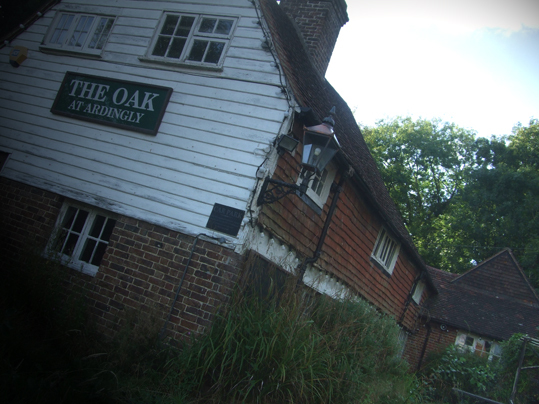 The third and final haunted location is the Oak Inn, as I mentioned earlier. The building was originally workers' cottages, built in the mists of history. They were turned into an inn in the early 17th century, which is said to be haunted by the ghost of a beautiful young woman with long dark hair and wearing a grey dress. She apparently looks so solid that customers at the pub have sometimes tried to talk to her, only to have her disappear before their eyes. Sightings were mostly in the bar, around the inglenook fireplace. It is said that the grey lady lived in one of the cottages before it became a pub. According to local stories, the young woman was being stalked by her neighbour, a forester who would not take no for an answer. He broke into her home late one night and she leapt from a window to try to escape him, but the forester followed and hacked her to death in the garden with his axe. 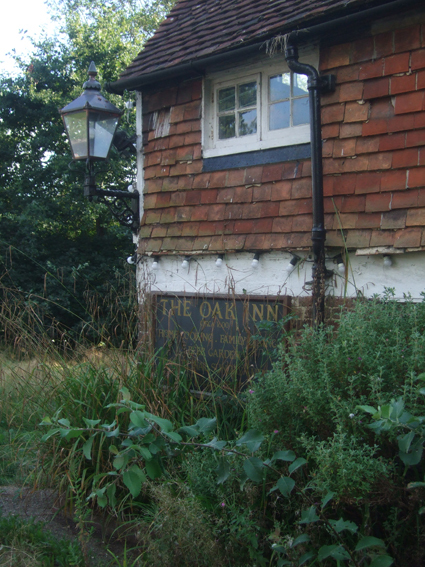 Sadly, the Oak Inn appears long closed and overgrown. I wasn't able to go inside, but from the outside it looks everything a haunted pub should look like. I don't know what the future holds for the building. I hope it won't be knocked down and turned into modern flats. Maybe it will be once again restored to cottages. Whatever happens, I certainly hope that the grey lady eventually rests in peace. All the pictures are loading fine for me using a Windows PC and Chrome. Please can you give the precise position of the pictures that aren't loading for you - for example if it is the top picture, say that, or if it is the third picture down, say that. I realise you won't know the content of the picture, but if I know its location I can deleted the picture and replace it. As I said, all the pictures load perfectly for me.